Best-selling author James Bradley will be the presenter for the 10th annual Farmers Bank and Trust Distinguished Speaker Series on September 23 at Southern Arkansas University. Tickets for the event are now on sale. To purchase tickets by phone, call the SAU Office of Development at 870-235-4321. Tickets can be purchased by clicking the “Make a Gift” button. 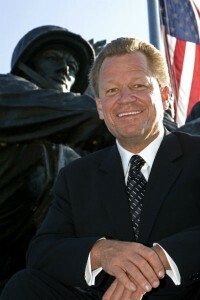 Bradley burst onto the national scene in 2000 with his New York Times #1 best-selling book Flags of Our Fathers, a book about the six soldiers who raised the American flag on Iwo Jima. One of the soldiers was Bradley’s father. The Times called the book “the surprise runaway nonfiction best seller of the season.” It was later released as a motion picture directed by Clint Eastwood. Bradley’s message at SAU will be titled “Doing the Impossible.” Proceeds from the event provide scholarships to students who possess the talent, energy, and intellectual curiosity to access higher education but lack the financial resources. A private reception with Bradley will be held at 5:15 p.m. at the Farmers Bank and Trust main branch in Magnolia. A book signing will take place in the Donald W. Reynolds Campus and Community Center at SAU at 6 p.m., and the dinner and lecture will be held in the Reynolds Center Grand Hall at 7 p.m.
Tickets start at $100 for the dinner and lecture. Tickets are $200 to attend the dinner, lecture, private reception, and obtain an autographed photo with Bradley. 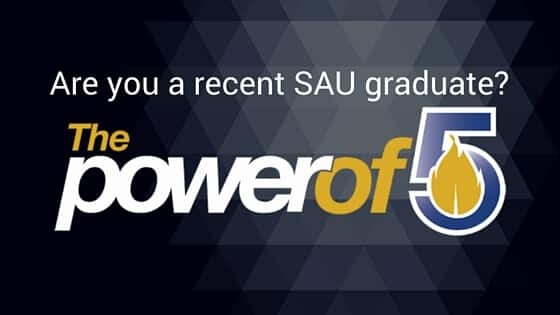 Sponsorship opportunities are also offered through the SAU Foundation. A Blue Sponsorship, $800, includes eight tickets for the dinner and lecture, two tickets for the private reception with photo, a table in the Blue Section with the sponsor’s name displayed on the table and in the program. The Gold Sponsorship, $2,000, includes eight tickets to the dinner, lecture and private reception with photo. Gold Sponsor tables also enjoy premium seating and name displayed in the program and on the table. Bradley is the author of three other books. Flyboys is the secret story of eight naval aviators who were beheaded on the island next to Iwo Jima. A ninth Flyboy got away. His name was George H.W. Bush. His third book, The Imperial Cruise, is an in-depth exploration of Theodore Roosevelt’s foreign policy. His latest book, The China Mirage, is slated for release this fall. It is a spellbinding history of the turbulent U.S.-China relations. Raised in Wisconsin, Bradley studied at the University of Notre Dame, Sophia University in Tokyo, Japan, and the University of Wisconsin. He has vast experience writing and producing corporate films and corporate meetings. He has traveled the world, living in more than 40 countries. He has run companies in the U.S., Japan, the United Kingdom, Germany, and Italy. He is the president of the James Bradley Peace Foundation, which is dedicated to fostering understanding between America and Asia.